Though I often disagree with him, I do enjoy Zach’s perspective on things because they are different from mine, though we exhibit similarities (e.g., both of us generally align with the center-Right in Anglophone societies). Zach may be one of the first cosmopolitan desis in his pedigree; he, himself of part-Persian heritage, marrying a South Indian Sindhi, probably to raise a family in England. In contrast, I may be the last brown person in my pedigree for a while, fading into legend and myth (or infamy!). 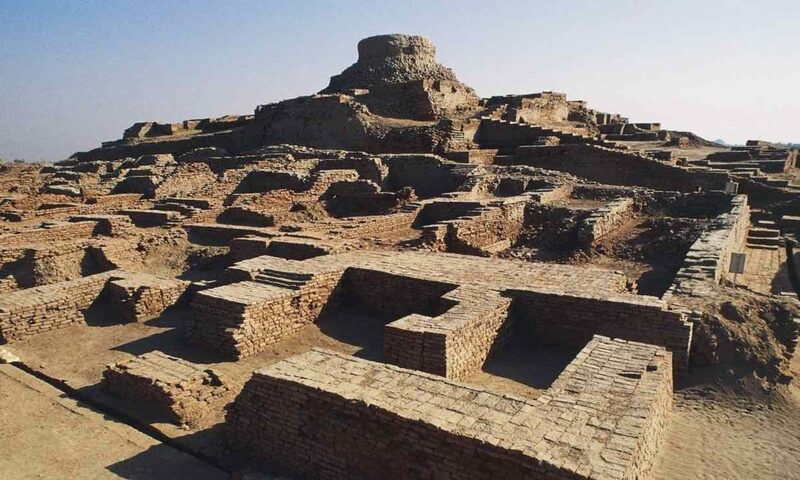 But one of the things I think is important to emphasize is South Asia is a civilizational entity straight-jacketed for historical reasons into a few nation-states. Though India and China are often compared together, they are totally incomparable insofar as the Han majority of China exhibit a racial and linguistic unity which South Asians do not (even though southeast Chinese dialects are unintelligible with Mandarin, the written language is the same). By and large, I am predisposed to agree that someone like Zach is more prototypically South Asian than I am. Despite his religious heterodoxy his cultural rootedness in the Northwest quadrant of the subcontinent does put him at the “center of the action,” so to speak. In contrast, my own family’s recent origins are on the far eastern fringe of recognizably desi territory…. That is, my family is from the eastern portion of eastern Bengal (my grandmother was almost killed by the crazy elephant of the maharani of Tripura!). 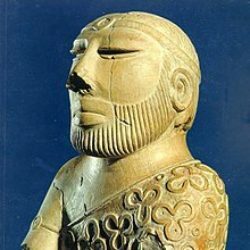 It’s interesting that 3,000 years after the emergence of Iron Age South Asian cultures the fulcrum of South Asian identity is where it began all those millennia ago (there was a period between the Mauryas and the Guptas when Bihar was the center). Talking about what is more prototypically desi is like talking about what is more prototypically “European.” Being French or German is more prototypically European than being Albanian or Russian. We could argue why, but in your heart you know it’s true. There are definitions of Europeans which exclude Albanians and Russians (even though I’d disagree with those personally), but no plausible ones which exclude French and Germans. Finally, I do think it indicates the limits and flexibility around race and brown identity. As Zach has said repeatedly he is very light-skinned (and part Iranian to boot). Myself, I don’t think anyone would describe me as either light-skinned or dark-skinned; I’m pretty much the average South Asian in complexion. Brown. Not light brown. Or dark brown. Literally just brown. But that doesn’t really weight much in terms of who is “more desi” or not. I have never watched a Bollywood film all the way through. That matters more. I spent much/most of my childhood in the 3rd. world and Bollywood films had quite an audience despite there being no Desi within hundreds of miles around, because they were fun! Large casts, extravagantly dressed, drama, singing and dancing extravaganzas. Yes Bollywood was always very popular in the 3rd world (even Russia & Iran) but as National film industries developed. I guess it gave way! Gotta fix that right away! Yes there are some very good ones out there. Toilet being one of them..
Is it just me or is the scale of the Indian map somewhat overestimated in the picture above? E.g. it appears above that India is bigger than, say, Iran and Saudi Arabia combined, which is not true. India’s area is 3.3m sq km, while Iran is 1.6 and S Arabia 2.1. But isn’t this about the Mercator vs. Peter projection? Could be .. but I don’t expect projection functions to affect relative sizes of countries with roughly similar latitude. 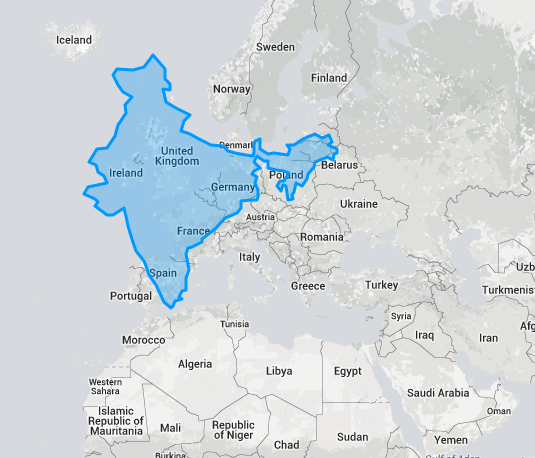 I do not know of any projection in which India looks bigger than S Arabia and Iran combined. That sounds pathological to me. I think it’s a Mercator India on a Peters Iran/Saudi (or vice versa whichever is which; it’s been a long time since I’ve seen that West Wing clip)..
That is the size of India if placed at that northern latitude. In the same map you have a glimpse of India in its original latitude and it matches. it’s projection. india had to get bigger because europe is bigger. the square miles of south asian countries is about the same as the european union. so it’s a valid comparison. Ok, so India is scaled only for comparison with Europe, not with Iran/S Arabia. Makes sense. Putonghua as spoken in parts of south western China is unintelligible to other Putonghua speakers only a couple of hundred kilometres away. Tianjin accent when speaking Putonghua is very distinctive and very unlike the Beijing accent, although the two cities are really close, relatively speaking, and there is obviously a lot of interaction – even I have no difficulty at all readily distinguishing between the two. People poke fun at the Tianjin accent a lot. It does sound pretty funny. My daughter has a Chinese friend who had a Persian grandmother. It shows when you know; otherwise, few would guess. Tried a few times but never watched a Bollywood film even 1/2 way through and never will, although I like some contemporary Indian music (female singers, mostly, but my preference is always for female singers in whatever popular culture – I just find female voices very pleasing and male voices not) and also got very interested in Bharatanatyam for a while; that’s very cool. I was a bit of a Bhangra fan for a while, too, but it wore off. Not that I particularly dislike it now, but expatriate Punjabis seem to film the most horribly amateurish videos to post on Youtube, and never seem to get any better at it (I’m looking at you, Canada). All of that energy being expended seems to me to deserve a better quality record. What I’m saying – IMO there are things in both modern/popular and classical Desi culture that are definitely worthwhile and entertaining, but I don’t count Bollywood movies as part of that. I think Bollywood is an extraordinary feat; it is a very real challenger to Hollywood. It’s really a reflection of the joy & dance of Indian culture; that natural perkiness & emotionality. I remember one a half Brazilian half Punjabi (Indian) friend of mine told me he thought the Brazilian half of his family was so much more emotional & connected than his Indian half. I was in shock, it was a bit unexpected. Thank you, I enjoyed that. Female Desi singing voices have a singular quality that I find aesthetically very enjoyable. Even though Urdu culture has some unnecessary wrangling (I’ll post about it soon) there is a realness/authenticity to PAK that Bollywood is fast losing because of the rapid Westernisation/ K-JO influence..
It’s like when I went to Iran last year; Iran felt like a very real Society compared to Turkey because it was so under-exposed to global currents (no mass tourism etc, not as much Westernisation/globalisation). People say the same thing about Cuba. There is an air of fatigue in Western cultures but that is an offshoot of being on the vanguard of technological advancement..
Yh, but the written language is pictographic in origin, and even the Vietnamese and Japanese used it. I think we make much more of our South Asian sub-languages than the Chinese do. The distance between Mandarin and Cantonese would be greater than that between standard Bangla and [say] Sylheti, yet we have significant discussions on whether the latter two are totally separate languages [though it’s not that difficult for a standard Bangla speaker to pick up Sylheti after a bit of finagling]. It might be true genetically. But then again, Chinese and Japanese are more closely related than some South Asian groups are to each other. Yet there, the Chinese and Japanese are happy to make a distinction. So isn’t this simply a matter of labeling? The identity of Koreans in Northern China [Yanbian Autonomous] is rather weak [by Korean standards]. Because they have labelled themselves and integrated into the greater Chinese fold. Yet go further south and you have basically the same race who consider the Chinese “alien” or treat them like fleas. Again, self-labeling. The same South Koreans who will turn up in the US and identify totally with “Asian” [alongside their Han Chinese ethnic peers]. Self-labeling. It’s possible that greater physical divergence among South Asian populations [but not genetics] means that it is more “difficult” to identify with other “desis” on some racial level. I don’t know how far I’d like to stretch that idea, since to me it seems obvious that “blacks” are phenotypically extremely divergent, and yet still do self-identify as such. Nevertheless it is one explanation. Although it must be said that no-one else has difficulty lumping us into the same group [e.g. “why isn’t Pakistan, India and Bangladesh one country?”]. So it’s probably self-importance and religiosity instead. Excuse me, what’s the central point of this essay? That Zachary Latif, with his Persian / Pakistani heritage is more Desi than an eastern Indian? Why? Haha I didn’t write it; Razib did! To be fair I think Desiness is quite complex, applies to different people in different times and open to interpretation. Also it’s not necessarily immutable.. just my thoughts ! I know. I was asking Razib. I agree with you about the complexity of the definition which is why I asked the question. Previous PostPrevious Why Brown Pundits?